Can low Vitamin D be the cause of your back pain? Low vitamin D status can be a source of chronic low back pain. As early as 2003, supplementation of Vitamin D has demonstrated an option for relief that has yet to become a commonly known solution before other, more costly options (Al Faraj & Al Mutairi, 2003). Indian and Saudi populations have been studied and the correlation between low vitamin D status and low back pain has been observed (greater than 83% in those studied) as well as significantly positive relationships between vitamin D deficiency and increased functional disability (Ghai et al., 2015). These populations may be at higher risk due to dark skin and clothing that offers complete blocking of the sun’s rays. It is important to be mindful of the higher risk of Vitamin D associated back pain in these populations, as well as the elderly, obese, and homebound populations, or those living in northern latitudes (Gaby, 2011). Those with low vitamin D levels and concurrent low back pain may need higher doses of Vitamin D than available in common multivitamins to experience relief. Al Faraj and Al Mutairi dosed oral 25-OH cholecalciferol to patients according to weight, offering their patients several thousand IUs of Vitamin D3 daily. After three months of treatment, clinical improvement in symptoms was seen in all the groups with low levels of vitamin D. Schwalfenber’s case series (2009) also showed that patients with chronic low back pain or failed back surgery who made the most significant improvement were dosed at 4000 to 5000 IU of vitamin D3/day. Some saw improvement in as short as 4 weeks’ time. Vitamin D deficiency may be a major contributor to chronic low back pain in areas where vitamin D deficiency is endemic. It is especially critical for the patient-centered surgeon and chiropractor to check the patient’s vitamin D status in high risk populations to avoid unnecessary, complex, and higher cost options as an immediate solution. Al Faraj & Al Mutairi (2015) write that screening for vitamin D deficiency and treatment with supplements is nothing less than mandatory when vitamin D deficiency presents alongside chronic low back pain. Because Vitamin D is stored in fatty tissue and has complex interactions with other vitamins and minerals it is important to monitor your Vitamin D status regularly, especially if you are taking high doses. The doses mentioned in these studies are not intended to be used as a daily maintenance dose, but rather a dose to bring one from deficiency to stability, at which point a lower dose is utilized to maintain adequate vitamin D status. Al Faraj S. & Al Mutairi K. Vitamin D deficiency and chronic low back pain in Saudi Arabia. (2003) Spine,15, 28(2), 177-9. Gaby, A.R. (2011). Chapter 161: Back Pain. Nutritional Medicine (pp. 621). Concord, NH: Fritz Perlberg Publishing. Ghai B., Bansal D., Kapil G., Kanukula R., Lavudiya S., & Sachdeva N. High Prevalence of Hypovitaminosis D in Indian Chronic Low Back Patients. (2015) Pain Physician, 18(5), E853-62. The Power of Our Pharmaceutical Industry: Too Much of a Good Thing? The United States is considered a leader world-wide in the development and research of new treatments for disease. One of the reasons this is so is due to our nation being much more lenient and tolerant of industry itself. A natural and positive outcome of capitalism is the ability to rapidly innovate and create new products and meet the demands of the marketplace without excessive restrictions and limitations present in some other nations. However, some argue that the strength of our pharmaceutical industry holds excessive influence over decision-makers top down and inhibits proper regulation of industry practices. The influence of pharmaceutical companies begins in early medical training. Up to 90% of all undergrad clinical medical students receive exposure to industry educational material. Students acknowledge the bias of such material and believed their peers and doctors to be influenced by them, but not necessarily themselves. Several studies reviewed demonstrate a relationship between exposure to industry and favorable attitudes about pharmaceutical interactions and marketing strategies (Austin et. al 2001). These established relationships continue after medical licensure. The Journal of the American Medical Association (JAMA) (2000) reports that industry sponsored Continuing Medical Education (CMEs), regular visits and funding increases physicians’ prescriptions of donor’s product. As of 2010, half of the CMEs available were industry funded. Pharmaceutical sponsors have substantial influence over the educational content, often pay prominent medical figures large sums to present information about the company’s latest products, and often provide the very slides used in the presentation. 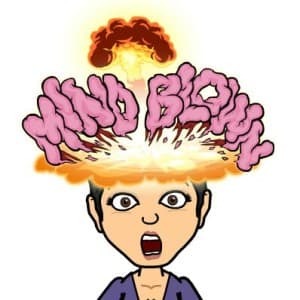 Is it at all surprising that sponsored CME courses lead to increases in prescription rates those who attend and hear the benefits of the sponsor’s product? 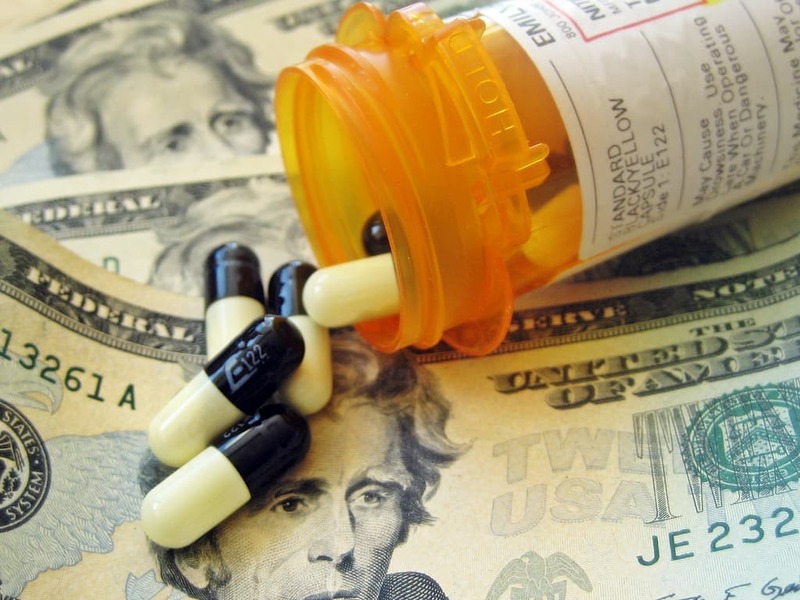 JAMA has suggested that influence be curtailed through policy, however policymakers are also recipients of donations from drug companies. Pfizer, for example, regularly donates to politicians and makes the choice by considering “candidates’ views on issues that impact Pfizer and its employees as well as the presence of Pfizer facilities or employees in the candidate’s district or state” (Pfizer, 2015). Such donations facilitate favorable policymakers remaining in office and curtail stricter management of poor conduct, questioning the efficacy of self-regulation. Multiple reports of violations in misleading claims, off-label promotion and manipulation of data are regularly reported worldwide (Stamatakis, 2013). One of the most well known examples of this is with Vioxx. Vioxx was a very popular (and effective) nonsteroidal anti-inflammatory drug (NSAID) that nearly doubled the chances of both heart attacks and stroke. Data revealed during court trials suggested Merck & Co. intentionally distorted the safety data from clinical trials and trained their sale reps on how to gracefully avoid physician questions about product safety. Another matter of concern is direct to consumer advertising (DTCA). Since it began in the early 90’s, industry spending on DTCA for pharmaceuticals increased from $11 billion to $30 billion between 1996–2005, about “the same period of time when the total costs of prescription drugs were rising at a rate higher than 30% a year” (Stamatakis, 2013). What are your thoughts on this? Do you feel the value of being able to bring products to market quicker is more valuable than tighter regulations to ensure proper conduct and appropriate promotion of medicine? 5) Zetterqvist, A. V., Merlo J. and Mulinari S. (2015) Complaints, Complainants, and Rulings Regarding Drug Promotion in the United Kingdom and Sweden 2004–2012: A Quantitative and Qualitative Study of Pharmaceutical Industry Self-Regulation. PLoS Medicine.12(2): e1001785. Minimally processed fruits and non-starchy vegetables are, along with legumes, nuts and seeds, consistently linked to better cardiometabolic outcomes. One could effectively argue that they are the cornerstone in reversal of heart disease as demonstrated by Dr. Dean Ornish and Dr. Neal Barnard. Here I will explore some of the existing theories behind the consumption of a high produce diet and the prevention of and successful treatment of heart disease. Unsurprisingly, data shows that the benefit from produce consumption increases proportionally by the number of servings consumed. Panagiotakos, et al. (2003) noted a 10% reduction in coronary risk for every one piece of fruit consumed per day and and observed a 70% lower risk of coronary heart disease in those individuals who consumed vegetables just three times per week compared to those who consumed no vegetables. While it is not argued that fruits and vegetables are the most health promoting of foods, the specific components of these foods and the effects which make them so powerful are still a topic of great discussion. Foods richest in phytochemicals (such as berries) appear to be especially potent (Mozaffarian, 2016). There is general consensus that oxidative stress plays a key role in the development and progression of heart disease. Some phytochemicals have antioxidant activity and are believed to mitigate oxidative damage throughout the body. Polyphenols are well-studied phytochemicals demonstrating antioxidant properties that support anti-inflammatory, antithrombotic and vasodilatory effects in the body and are believed to protect the heart from disease (Gormaz, Nicolas, Sotomayor, Turner & Rodrigo, 2016). Although studies indicate caution should be exercised in using antioxidant supplementation (Gaby, 2011), antioxidant-rich fruits and vegetables as dominant dietary components play a crucial role in the prevention and treatment of cardiovascular disease. The antioxidant and anti-inflammatory actions of these foods have specific applications for the multiple diseases and disorders associated with chronic low-grade systemic inflammation and resulting oxidative stress (Soory, 2012). An apple a day does, in fact, keep the doctor away! Flavinoids from produce such as apples also show promise in in reducing cardiovascular disease risk. Koutsos, Tuohy, and Lovegrove (2015) cite epidemiological studies showing apple intake to be inversely related to heart disease risk and mortality in Finnish and U.S. populations. They speculate polyphenols and fiber influence bile acids directly (via binding) and indirectly through influencing the gut microbiota (by modifying the microbiota’s potential to deconjugate and hydrolyze bile acids), thus altering the quantity and chemical profile of bile acids returning to the liver. By breaking down bile acids in the gut, these bacteria force the liver to utilize more cholesterol in bile acid synthesis, thus reducing cholesterol available for plaque formation. It appears some species of gut bacteria also directly consume cholesterol, which may also contribute to the lowering of total cholesterol (Saini, Saini, & Sharma, 2010). In addition to bile acid metabolism, polyphenols may also directly influence the cell’s regulation of intestinal permeability, fat absorption, hepatic lipid/cholesterol metabolism, glucose homeostasis and systemic inflammation, yet these mechanisms remain to be convincingly demonstrated in human studies despite promising in vitro and animal studies. More recently, Klinder et al. (2016) echoed Saini, Saini and Sharma in a study exploring fruit and vegetable intake on the microbiota. Their observations confirmed the microbiota as a key player in the protective effects provided by the fiber and flavinoids in fruits and vegetables. Certain bacterial populations observed were associated with cardiovascular disease risk factors including plasma TNF-α, plasma lipids and BMI/waist circumference. Soluble fiber is also readily available in fruits and vegetables and also connected to reduced risk of heart disease. Avocados, brussels sprouts, asparagus, oranges, sweet potatoes, figs, broccoli and many others top the list and can easily add up on a produce-focused food plan. Soluble fiber can serve to boost healthy bacteria in the colon, thus indirectly contributing to cardiovascular disease prevention, lower blood sugar (helpful in preventing associated inflammation) and lower total cholesterol. Soluble fiber often acts as a ‘prebiotic’, offering nourishment to healthy bacteria populations (Dietitians of Canada, 2013). Finally, a diet focused on fruits and vegetables is effortlessly voluminous, crowding out space on the plate and in the stomach for less healthy options, such as refined carbohydrates and other processed foods. By becoming ‘hunters’ of fruits and vegetables we can foster an effective and tangible means of reducing disease and promoting health. A plant-based diet does not need to be a meat-free diet. Make most of your plate full of vegetables and low-sugar fruits and see how energized and healthy you feel! Gaby, A.R. (2011). Nutritional Medicine. Concord, NH: Fritz Perlberg Publishing. Panagiotakos D.B., Pitsavos C., Kokkinos P., Chrysohoou C., Vavuranakis M., Stefanadis C., & Toutouzas P. (2003) Consumption of fruits and vegetables in relation to the risk of developing acute coronary syndromes; the CARDIO2000 case-control study. Nutrition Journal, 8(2), 2. 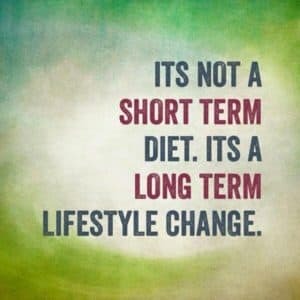 What is the Lean Living Lifestyle? It’s a way of eating, thinking and moving that is designed to work with your body to achieve a natural, balanced bodyweight. It’s a group of people committed to their health, strength and vitality no matter what their age or current state of fitness. It’s an educational program to give you the tools you need to end cravings, boost energy, get stronger, leaner and fitter without counting calories, being hungry, or measuring food! Nutrition – Discover Your Optimal Fat Loss Plate, try out Tasty Recipes and get the skinny on how to set your hormones to balance your weight more easily without hunger or cravings. 2 Personal Trainers (Lisa English and Aimee Gallo) to help you customize workouts to your fitness level! In-depth education on hormonal fat loss, exercising to boost fat loss, and creating a fat-burning environment whether dining in OR out! Access to our Exclusive Facebook Group where you’ll meet other people like you, share successes and get even more tips, recipes, and individual coaching! We begin on January 8th! The best way to fulfill your intentions for healthy habits in 2017 is to be supported by others and collaborate in a community of others with similar goals. Let us help you succeed this year! 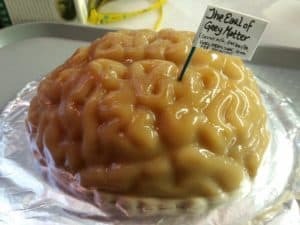 A couple of weeks ago I totally scored a brain mold at the dollar store. Not one to pass up such a treasure, I immediately recognized its value in an upcoming potluck at my son’s school. The following recipe is more suited to an adult’s palate. If you’ve not had tea jello, it’s quite awesome. It reminds me a little of boba tea, with that springy jello texture and the creaminess of a milk tea. To be more sensitive of food intolerances, I made this one dairy-free. First make the tea: put the tea bags in the boiling water, and let sit for 5-10 minutes. You want very, very strong tea. Thoroughly whisk the gelatin with the cold water, then remove the teabags form the tea and mix the tea with the gelatin mixture until completely dissolved. Add the coconut milk and honey and stir. Taste the liquid. Add additional sweetener, if desired. Lightly oil your brain mold or an 8 inch square pan. Pour the gelatin mixture in and chill until set, about 4 hours. If using a brain mold, make sure to oil the sides well to facilitate releasing the gelatin from the mold. Do not fill the gelatin to the edge of the mold; instead leave 1/4″ to 1/2″ of space to allow gravity to easy the gelatin out when you turn it upside down. Word on the streets is that our dietary Omega 3:6 ratio used to be 1:1 – meaning we ate about as much Omega 6 fats as omega 3 fats. Current estimates run anywhere from 1:16 to about 1:50 depending on who you ask. This is for a couple of reasons: We don’t eat a lot of seafood, the animals we do eat are no longer pastured for the duration of their lives and so they are fed an omega 6 rich diet of corn, soy, and other items and denied omega-3 rich grasses and grubs. Consequently their meat and milk is omega-3 deficient – and so are we. Omega 3 fats provide the body with eicosanoids called EPA and DHA – these have an overall anti-inflammatory effect on the body and are known to support cardiovasular health, mental health, and can reduce chronic inflammation when introduced to a modern diet. Vegetarians and others who supplement with flax and other plant sources are only getting about 2-3% EPA and DHA from these plant sources due to a complicated and highly inefficient ability for humans to convert ALA (the plant omega 3) to EPA and DHA. When we consume meat and milk, we consume EPA and DHA directly from the animal, who has done the touch job of converting for us. This is why I advocate use of fish oil instead of flax for omega-3 supplementation. While flax oil, walnuts and other vegetarian sources are great to bring the body closer to an optimal ratio of Omega3 to Omega 6, these sources should not be considered sufficient by themselves as a supplementation. Considering chronic inflammatory diseases are our number one cause of death (think heart attack, stroke, diabetes, etc) and mental illness such as bipolar disorder, depression and schizophrenia is very common it makes sense to ensure that regular omega-3 supplementation is in the entire family’s supplement regimen. Nordic Naturals is a great over the counter source of fish oil and widely available. I also love the Metagenics 1000, as it is ultra potent with 1000 mg combined EPA and DHA per capsule. I recommend finding the highest potency of EPA and DHA possible so you can take fewer capsules. 2-3 grams of combined EPA and DHA is a good place to start for dosing adults; depending on your health concerns you may benefit from 2-3 times as much; talk to a qualified professional about your needs. Do not take fish oil without physician consent if you are taking blood thinning medication. Vitamin D – Over 40% of adults have outright Vitamin D deficiency, regardless of where they live in the USA. In my practice it is quite commonplace – whether in San Diego or Seattle – and being outside often is not a foolproof assurance you are at optimal levels. There’s a lot we are learning about Vitamin D, but we do know that being indoors (or in your car) and wearing sunscreen reduces Vitamin D synthesis significantly, as does darker skin. While dairy products and a small number of foods provide Vitamin D, the majority is created in the skin from sun exposure. Considering we evolved living and working outside it is easy to see how easy it is to have suboptimal levels now. We do know that the current RDA of 800 IU is not likely to be enough for most and we know that less than 30 ng/ml blood levels are suboptimal, with deficiency being less than 20 ng/ml. There is some argument that ideal blood ranges are 50-100ng/ml and you will see this repeated often in the naturopathic and functional medicine communities but Alan Gaby, a pioneer in this area, is not convinced that levels this high are actually optimal. 50-70 seems acceptable with current knowledge. Please see resources for his explanation. My favorite Vitamin D supplementals are liquid; Biotics Bio-D-Mulsion and Thorne’s Liquid Vitamin D; liquid sources are easy to administer to adults and children are emulsified in oil, increasing absorption. Biotics can be found here, or either can purchased from a licensed practitioner. Individual dosing is dependent on current serum Vitamin D status and should be monitored regularly with supplementation, as Vitamin D is fat soluble and can therefore accumulate to excessive levels. Quality Multivitamin – Given that less than 10% of Americans are getting 100% or more of the RDA of everything and the RDA is designed to prevent gross deficiency – not support optimal health levels of nutrients – we all need to be taking a multivitamin. Those who argue against this practice are not acknowledging nutritional soil depletion nor the effects of stress, pollution, and modern lifestyle on nutrient demands. We all need to be taking a multivitamin, period. Quality varies widely among multivitamins. Some are poorly absorbed – what physicians will often call “expensive urine”. Others are of a higher potency and quality – including forms of vitamins and minerals which are better absorbed by the body. Any one-a-day is not going to be optimal – there is limited absorption in all of these simply because the body is not designed to be able to take in 100% of everything in one dose just like we cannot get 50,000 people into a football stadium immediately because there are not 50,000 doors available to enter. The body will flush out what is unabsorbed immediately so a multivitamin that is divided into 2-3 doses will give you your money’s worth, even if you only take two of the three doses. The most absorbable form of each vitamin and mineral is too comprehensive to list out here – I recommend a pharmaceutical grade supplement company to provide your multi as they will be tested for quality and not have fillers and additives that are common in many grocery stores or large chain supplement stores. More than 30% of us have a genetic mutation called MTHFR that is connected to depression, heart disease, high homocysteine levels, ADHD, autism, and more. If you have this gene mutation your ability to metabolize B vitamins in enriched foods and supplements is compromised. You’ll need to choose a supplement that has methylated forms of B vitamins. My favorite companies for pharmaceutical grade multivitamins are Thorne Research and Pure Encapsulations. Probiotics – Most of us have had several rounds of antibiotics in our lifetime, drink tap water, are exposed to antibacterial soaps and exposed to glyphosate – an ingredient in pesticides such as Round-Up (which your neighbors put on their lawns, the city sprays in public green spaces, and is used on our crops). All these have a negative impact on the bacterial population of our intestines, as does seemingly unrelated aspects of modern living such as stress, sugar, refined flour, and lack of vegetables. It is my preference that we get our probiotics from raw, fermented foods such as sauerkraut, kim chee, and fermented dairy products like kefir. If you choose this method and do not make your own make certain you are purchasing refrigerated pickled vegetables that state they are raw, fermented foods. Shelf-stable versions are pasteurized, killing the very bacteria we are wanting from these foods! If you have digestive issues or autoimmune disease it is even more important to have a great diversity of bacteria available to you. In these cases probiotic supplements as well as raw, fermented foods are encouraged. You may also choose a probiotic supplement if you do not have the plate for ferments or do not have regular, easy access to them. Choose a probiotic that is at least 30 billion units per capsule. Quality and standardization varies wildly in these supplements, so choose a pharmaceutical grade company (like Thorne, Metagenics, or Pure Encapsulations) whenever possible. One study indicated that 30% of tested samples purchased in stores were contaminated and 20% had no viable probiotic activity at all, so this is definitely something to be mindful of. Conditionally Ideal: The recommendations below are optional unless symptoms of suboptimal levels apply to you; then I’d recommend making it a regular part of your supplement regimen. Magnesium – Some might argue with me on this one, but I have seen magnesium be very effective for a number of things in my practice; insomnia, muscle and menstrual cramping, migraines, muscle stiffness, constipation to name the biggies. Magnesium is also helpful to combat cardiovascular disease and high blood pressure. Estimates are that less than 30% of U.S. adults consume the Recommended Daily Allowance (RDA) of magnesium. And nearly 20% get only half of the magnesium. Remember – the RDA are broad recommendations that most people need to avoid disease (in this case seizures, cramping and/or heart arrythmias with prolonged deficiency) – we have yet to really know and recommended optimal amounts for vitality and vibrancy. If most are not meeting the RDA, chances are this is a valuable supplement to be taking – especially if you have cramping, difficulty sleeping, constipation, or feel tight and stiff for unknown reasons you call “getting old”. A chelated form of magnesium is best to avoid diarrhea. I recommend NatureCalm or 400-800 mg magnesium glycinate for sleep, stress, and muscle cramping. You know you have too much if you have loose stools – back up your dose if needed. Epsom salt baths are also very soothing and bring magnesium into the body for relaxation and calming of the nervous system. Kal Magneiusm Glycinate provides a higher dose per pill; I recommend Pure Encapsulations for those with food sensitivities. If you want to take a food first approach with magnesium you can do so – this is best accomplished with a 100% whole grain diet with 6 or more cups of leafy green vegetables per day. If you can maintain this kind of diet and still have symptoms consider supplementation, as other factors may be at play which are inhibiting absorption from food. If you have a MTHFR mutation, are under high levels of chronic stress, have high homocysteine levels or experience depression and anxiety a stress B Complex may be valuable to you. It is also a useful supplement if you regularly consume alcohol, as B vitamins are important for the liver’s detoxification pathways and can help prevent hangovers (but I’m hoping you aren’t drinking that much). As discussed above, when in doubt choose methylated forms of B vitamins to ensure you absorb them. Thorne Research, Ortho Molecular, and Pure Encapsulations all offer great products and you can talk to a licensed practitioner for more options and to get tested for MTHFR mutations. Simopoulos, A.P. (2002) The importance of the ratio of omega-6/omega-3 essential fatty acids. Biomedicine & pharmacotherapy; 56(8):365-79. Forrest KY, Stuhldreher WL. (2011) Prevalence and correlates of vitamin D deficiency in US adults. Nutrition Research. 31(1):48-54. doi: 10.1016/j.nutres.2010.12.001. Stein, Traci, Ph.D., MPH. A Genetic Mutation That Can Affect Mental & Physical Health. Psychology Today, posted September 4, 2015. Flanigan, Jessica. WHAT’S UP WITH METHYLATION AND MTHFR? AIP Lifestyle, posted October 14, 2013. Michener, Martin, PhD. The Microbiota Crisis: How the Herbicide Glyphosate is Killing Microbiomes. Health Impact News, Accessed Website 20 September 2016. S Berman, D Spicer. Safety and Reliability of Lactobacillus Supplements in Seattle, Washington (A Pilot Study) The Internet Journal of Alternative Medicine. 2003 Volume 1 Number 2. At the start of the year I spent some time reflecting on what I wanted from this year. I enlisted some inspirational help through Leonie Dawson’s workbook, the PassionPlanner and One Little Word (which you can read about here). My word for the year is Possibility. I have been sitting with that word this year and it has both driven me and surprised me. 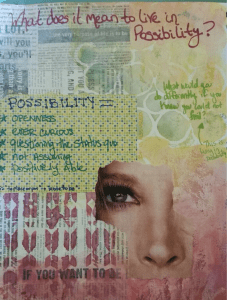 I am making choices in questioning what is possible as well as facing areas where I have been unconsciously choosing *not* to dwell in possibility. This word has been a great tool for me to see many ways in which I limit myself and I am continually surprised in both the large and small ways I ‘out myself’ with this word, as I generally perceive myself to be an optimist who believes in what is possible. Mind you, I chose this word specifically because I have become aware that entering the phase of motherhood has disconnected me from much of that mentality. I am definitely seeing all the ways this is so! My totem word is doing its work! When it comes to creating specific goals and making the daily habits stick to accomplish them I falter a bit. I am sporadically planning out meals, workouts, me time, and other important but unglamorous daily tasks to get to the goals I have created for myself and find that it works very well when I do it but I am challenged to keep a structure that requires daily record-keeping (any of you who have been asked to keep a food log can probably relate!). Sometimes weeks go by when I do not pull out my planner and other times I am able to maintain a strong streak for about two weeks. I have yet to fill out the reflective prompts in the passionplanner and utilize it to its fullest extent. Ironically, I think all that is needed is a little planning. Exploring my resistance to planning and following a schedule is another thing altogether. I started working with a friend going through Leonie’s book together and this accountability has been helpful in moving things forward. What has been most successful though is the “One Little Word” with Ali Edwards. Between the online Facebook group, the ‘tiny bits’ of frequent practice and the lack of a defined, specified outcome this exercise is one that I am enjoying exploring and feeling into each month. It has not been without its own challenges, but I have yet to walk away and abandon this class for more than a week. It is also encouraging me to explore my artistic side which has been woefully neglected and this is also something I am enjoying working through and exploring. This month we are to define our word for ourselves and ask questions to really understand our totem word and what it means in our lives. I put my initial thoughts in my art journal, but will be playing with this exploration all month. This is also my first time experimenting with Gesso, and I have to say – it’s a game changer! 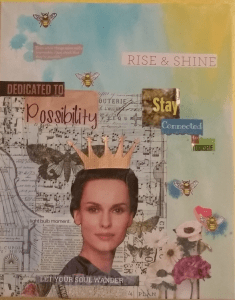 So far this year I am sitting with many ways I sell myself short prematurely, my resistance to following a defined schedule, and my beliefs about myself and my artistic abilities. I have signed up for a couple art classes to push this envelope and get more comfortable in different mediums. I have pushed my belief in what it means to be a good mom by taking trips alone to recharge and get some serious “Me” time. I have yet to dive into my reticence to follow a schedule for more than two weeks at a time and have not journaled as much as I need to about my self-imposed limitations. I did, however, push past my beliefs about a situation in which damage was done to my car during a detail and am working with the company for just compensation. This is something that was a small, yet powerful way that I both challenged my beliefs about women and the auto industry, corporate responsibility, and the value in speaking up for what I want. The word “possibility” was directly responsible for that. Where are you at with your 2016 goals and aspirations? This actually happened. More than once. Parkinson’s Disease is believed to be a disease of predominantly environmental origin. Twin studies have demonstrated that environmental factors are the most important cause for Parkinson’s disease (Wirdefeldt et al., 2008). Pesticide and heavy metal exposure are commonly cited antecedents and increased risk is seen in those exposed via occupation or simply rural living and consumption of well water (Willis, Sterling, & Racette, 2010). Park, et al. (2006) reported low, yet consistent exposure to inhaled manganese, a common occurrence in welding occupations, for as little as two years doubled the risk of neurological impairment. Pesticide exposure is another, perhaps more prevalent source of exposure in Parkinsonism etiology. Rotenone and paraquat are two such pesticides that have been positively associated with the disease due to their ability to cause mitochondrial dysfunction and oxidative stress (Tanner, et al., 2011). These can be purchased at your local home and garden center and may be used by your neighbors or even your local Parks and Rec department on greenways, roadsides, and in public parks to keep weeds at bay. In married couples where both individuals became diseased with Parkinson’s, non-occupational exposure was most commonly noted. Multi-decade residential pesticide use and living within 5 miles of a metal manufacturing/emitting factory was reported in 77.8% of couples analyzed by Willis, Sterling, and Racette (2010). This study was particularly compelling, as it involved cases where one person came down with Parkinson’s and their spouse also fell ill with the same disease, usually within a decade. Be wary of the pesticides you and your neighbor use. While the research I uncovered named two of them, many pesticides work because they destroy an insect’s neurological system. It’s foolish and short-sighted to think we are immune from that, even at regular low doses. Seek alternative deterrents that are non-toxic to control weeds and pests. Filter your water to reduce pesticide exposure. This is especially important if you live in a rural area and use well water. I do not know if city filtration systems are effective either. Also talk to your city to see what they use to keep public green spaces pretty. Our dogs and our children are very close to the very plants and grasses that may be treated and are especially sensitive to pollutants given their smaller size. Tanner C.M., Kamel F., Ross G.W., Hoppin J.A., Goldman S.M., Korell M., Marras C., Bhudhikanok G.S., Kasten M., Chade A.R., Comyns K., Richards M.B., Meng C., Priestley B., Fernandez H.H., Cambi F., Umbach D.M., Blair A., Sandler D.P., Langston J.W. (2011). Rotenone, paraquat, and Parkinson’s disease. Environmental Health Perspectives 119(6), 866-872. Wirdefeldt, K., Gatz, M., Bakaysa, S.L., Fiske, A., Flensburg, M., Petzinger, G.M., Widner, H., Lew, M.F., Welsh, M., and Pedersen, N.L. (2008). Complete ascertainment of Parkinson disease in the Swedish Twin Registry. Neurobiology of Aging, 29(12), 1765–1773. Park R.M., Bowler R.M., Eggerth D.E., Diamond E., Spencer K.J., Smith D., et al. (2006). Issues in neurological risk assessment for occupational exposures: the Bay Bridge welders. Neurotoxicology, 27(3), 373–84. Willis, A.W., Sterling, C., and Racette, B.A. (2009). Conjugal Parkinsonism and Parkinson Disease: A Case Series with Environmental Risk Factor Analysis. Parkinsonism & Related Disorders, 16(3), 163–166. If you are getting bored with your regular exercise routine, need a new challenge, or are on vacation and have no equipment this video holds oodles of ideas to motivate, inspire and help you shake things up! Some of these are pretty advanced exercises, but there should be something in here for almost anyone to try!